Again, this concludes Apple’s four-week college-themed promotion that saw the firm give away the beautiful iOS calculator Tydlig, the gorgeous Rise Alarm Clock, the premium edition of the popular fitness tracking software Runtastic, and now Bicolor. The ingenious levels with only two colors have to be played in order to be fully appreciated so I urge you to grab this freebie right now. 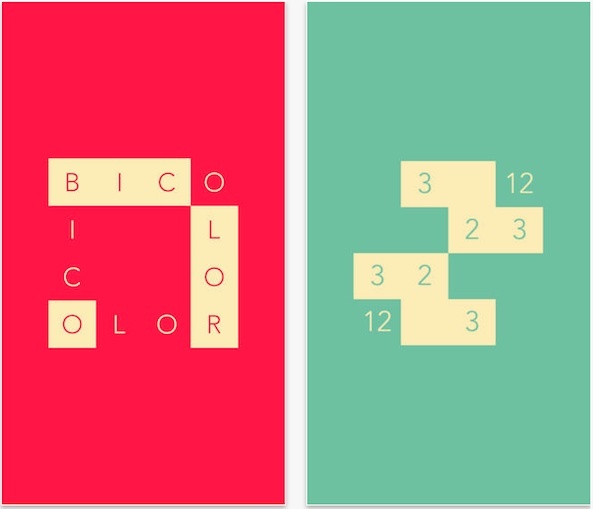 Here’s how you can redeem your free copy of Bicolor. 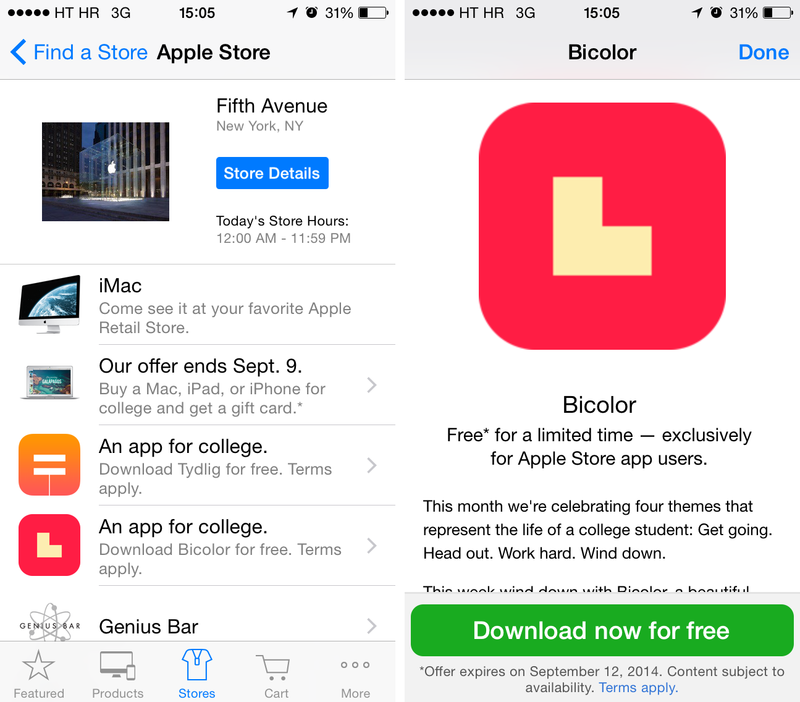 Once on the store page, look for Bicolor halfway down the section. 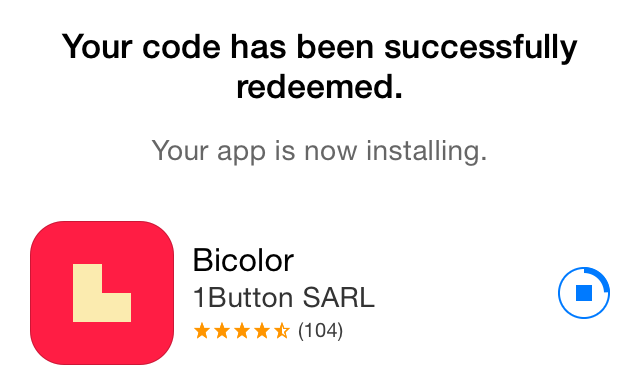 Step 2: Tap it and you’ll be offered to download Bicolor free of charge. Just hit the big green Download now for free button at the bottom. Step 3: Doing so will take you to the App Store. Upon signing in with your Apple ID, hit the Redeem button in the upper right corner. Step 4: Your download will begin momentarily. If all goes well, you should seed a confirmation message like this. 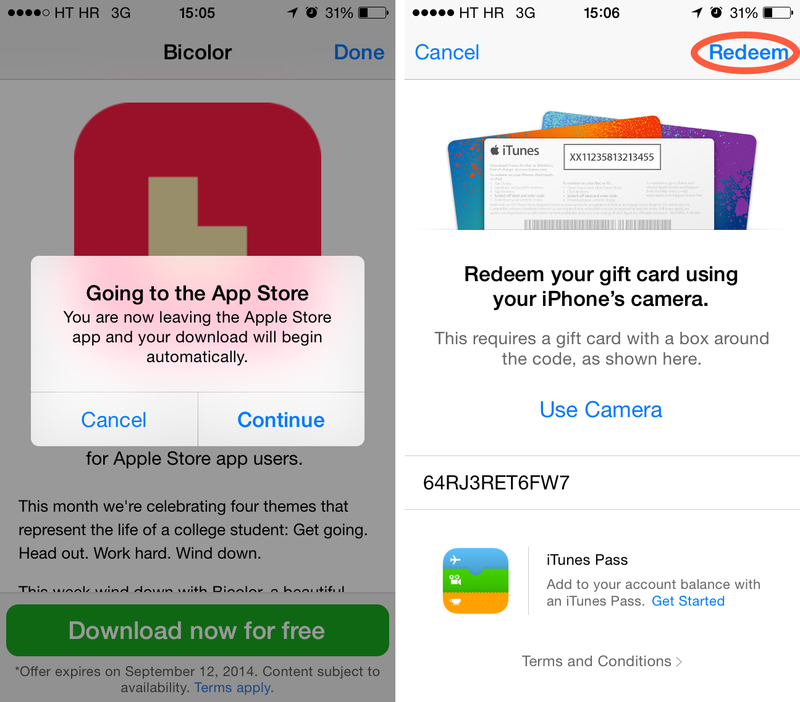 Although Apple cautions that this promotion requires redeeming Bicolor using a U.S. Apple ID, iTunes Store or App Store account, some of our non-US readers may be able to take advantage of it. If not, you can always create a US-based Apple ID account without a credit card to download apps, music, movies and other free items in the US iTunes Store. Will you be redeeming Bicolor?